I began to prepare for my final project for OLTD 505 and at the same time I was offered an interview for my dream job: K-2 curriculum integration teacher for NIDES' fine arts eCademy. The skills I have developed through the first part of the OLTD program made me an excellent candidate for the position. I decided to combine my interview preparation and final project with a summary of my skills, attitudes and experiences of blended, open and personalized learning. My first idea was to create a remix of resources, quotes and ideas that resonate with me as a teacher and learner. My idea became too big too fast and because I only had one weekend to accomplish the task decided to save my foray into the world of remixing for the summer. I don't know how to remix music and it is my goal to learn to do so. One key piece of OLTD 505 is to contribute to the learning of others. As I reflect on my contributions to the learning of others, I would liked to have done more. While I shared many resources and suggested an "open creative challenge" I did not engage openly in meaningful conversations about my learning or the learning of others in my cohort. Frankly, the last 6 weeks have been intense: massive amounts of interesting and engaging reading about openness in education, job applications and an interview (update: I got the job! ), year end report cards, putting my house on the market, wrapping up my year teaching kindergarten and single parenting an lovely and oh-so-lovable 8 year old. What I let slip was deep engagement with my OLTD colleagues. I decided that for my final project I would create a resource I could share with the interview panel for my dream job as well as a resource that would contribute to the learning of my colleagues. Along my OLTD 505 learning journey I discovered learni.st, a tool similar to pinterest but dedicated to teaching and learning. I love learni.st's layout, the way ideas and resources are presented and the ability to develop lessons or learning to share with others. One of the things I have lacked in my learning is a consistent place to house resources and ideas. With learni.st I have found my solution. I intend to continue to add to these boards and create new ones as I learn more. Ed Tech Blogs Worth Following: This is where I link to my favourite blogs dedicated to educational technology and open learning. K-12 Open Educational Resources: This board is a place to share links to my favourite and most useful K-12 OERs. Inquiry- and Project-Based Learning Resources: Here I share links to inquiry- and project-based learning resources. These can be online and print-based. 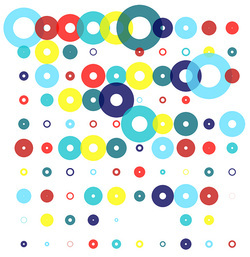 Online Assessment for Learning Tools: A collection of online assessment for learning tools. Tools to Make Learning Visible and Connected: One of the most striking things I've learned through OLTD is the importance of taking learning out of the closet and opening it to the world. Here is a connection of resources to help teachers and learners do so. My Favourite Quotes on Education: I love quotes and how their ability to epitomize an idea. This is a collection of some of my favourites. All photos on this board were taken by me. On Remixing: Remixing, the theory behind remixing and what it means culturally, artistically and politically has ignited the most curiosity for me over the course of OLTD505. I'm inspired and intrigued by the idea that everything comes from something and will continue to explore this idea as I learn more about remixing and experiment with the tools with which to do so. In some ways I surprised myself by choosing such a practical way to summarize my learning from OLTD 505. This collection of tools is useful to me and I hope it is useful to others. Developing this evolving collection makes me feel part of a connection of educators interested in openness in education and 21st century teaching and learning practices. My artistic, creative side, however is hungry and as I wrap this learni.st project up I'm starting a collage that represents my experience with and understanding of openness in education. ***Stay tuned...something more reflective of me will be in this space shortly. In my first blog post for OLTD 505 I wondered about a possible link between open education and intrinsic motivation. I've been working on opening my kindergarten classroom over the past weeks. We started a class blog and are beginning to make our learning more visible and connection to a wider learning community. Openness in my classroom has also meant letting go of control and allowing for more learner autonomy. I recently had a powerful learning experience of my own as a result of this new approach. Once a week we do a directed drawing. This has always been a special time and much anticipated. Students follow my step-by-step instructions while listening to quiet music. Often we draw animals, sometimes 3D shapes or plants. Then the students embellish their drawing with their own creativity. I love how each piece of artwork ends up completely unique. I have one student who does not like our directed drawing lessons. In fact, he detests them. In general, he resists participating in activities where he is not in control. 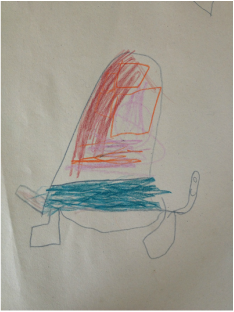 This is his drawing of a turtle. As he was doing the drawing I observed him rushing through to get the whole ordeal over with. He didn't care to finish the colouring or adding creative detail. One of the things I introduced as part of my goal of encouraging more autonomous learning is the "cahier n'importe quoi" - the "anything book". Each students has a book with blank pages where s/he can draw anything s/he wishes. Students can draw in this books during centres, free time, after lunch, quiet time or if s/he finished a learning activity early. I was surprised when my reluctant directed-drawer began to choose his "n'import quoi" book over Lego. He began sharing his drawings with me - most of them looked like variations of this picture. He was so into his "scribbles" as he called them and proud of the variation of shape and colour he was experimenting with. One day he came to show me this drawing. He described the process and how he discovered that inside his "scribbles" were a bunch of unique shapes. He decided to colour the shapes so they would stand out more clearly. I was astounded at the deep learning this child was experiencing AND expressing! The following day I decided to make my thinking transparent and open to my students and do some fun re-mixing at the same time. I introduced my lesson by telling the students I was borrowing and building an idea I got from L (the "scribbles" artist). With his permission, I showed his work, described how it inspired me and how I'd created a lesson based on his idea. I wrote each student's name in block letters and suggested two ways to make shapes - lines going back and forth or L's "scribbles". All of my students were highly motivated to do this activity. They loved describing the shapes as they emerged and enjoyed creating patterns with colour. 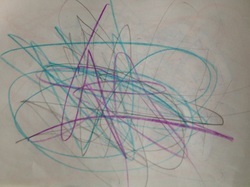 L took on a positive leadership role, helping and encouraging students experimenting with his "scribble" technique. What I learned from this experience of letting go, allowing for autonomy and sharing my thinking about remixing lessons is that by embracing and executing open education principles I also open learning to possibility. As I process our discussion on Open Educational Resources with Stephen Downes, I'm discovering more and more directions and paths I'd like to explore in the world of open education. Stephen Downes is a modern day Plato: he asks questions that open ideas and he guides learners towards personal epiphanies. At least that's what happened for me. My Romantic self was thoroughly inspired and fulfilled. I'm going to use this blog post to pick up on a few threads that Stephen Downes wove into his tapestry during this May 2013 open discussion on OERs and MOOCs. I'll likely return to these as I continue to open my own teaching and learning. Downes suggested these as both conditions for a constructive learning dialogue and design principles for a MOOC: autonomy, diversity, openness, interactivity. S. Downes, May 25, 2013, #OLTD505 I wanted to look more deeply at these conditions in reflection of my own teaching and learning theory. Autonomy: The Greeks define autonomy as "self law". While Martin Brokenleg and William Glasser use slightly different language (independence) they both highlight autonomy as a fundamental human need. So often learners are directed and prescribed what to learn and how to learn it. BC's Ministry of Education even describes provincial learning outcomes as "prescribed". As an educator who values personalized learning, the autonomy of learners is crucial. While it might sound oxymoronic, I believe individual autonomy and a collaborative community are essential for not only constructive dialogue but also for optimal learning. I have a student this year who resists any learning that is imposed or prescribed. He makes up his own rules and plays to his own tune. At first I saw this as a challenge to our classroom community - the child would paddle in the opposite direction of the community "flow". 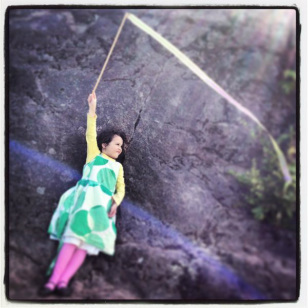 I struggled to find ways to engage this child and finally, in frustration, I let go. 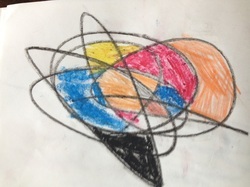 All of a sudden the boy was inventing math games and sharing them with his friends, taking a leadership role during computer time and drawing beautifully complex patterns in art. Observing this child thriving in a learning situation he had created I realized the importance of autonomy. Diversity: People are diverse and communities are diverse yet we are all share basic emotional needs: independence, belonging, a sense of freedom and fun (see my eLearning theory for more details). Though fundamental, they are expressed and met in diverse ways. Diverse learners require diverse teaching strategies, diverse projects and diverse ways to make their learning visible. This means providing choice but also being open to new options. 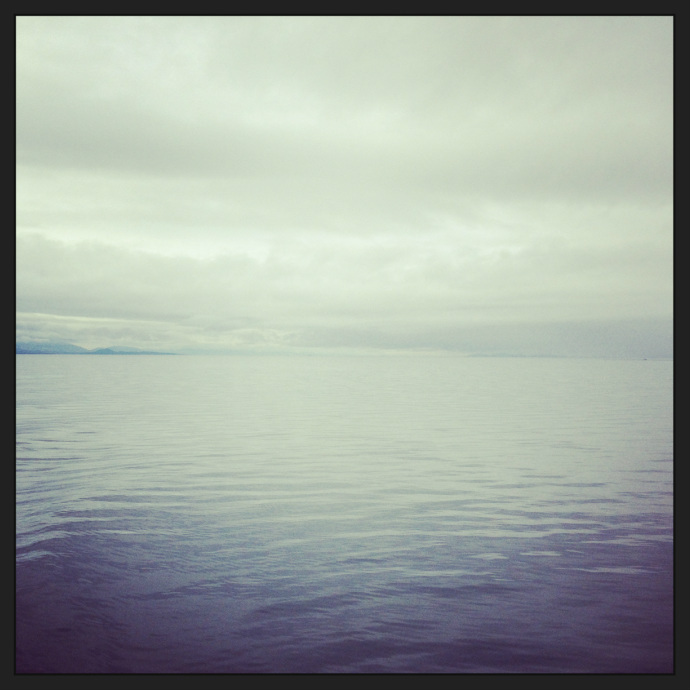 Openness: Openness means letting go of control. In a learning situation it means not being attached to specific outcomes or ways of reaching an outcome. Openness means sharing and remixing and making something new out of existing ideas. Interactivity: Connectivity. Connectivism. The internet has made connections with more people and across longer distances not only possible, but natural. Learning has always been about making connections between self and text, self and the world and self and prior experiences, dreams and the imagination. The internet expands the possible connections infinitely. John Abbott states simply that "education is the ability to perceive connections between phenomenon". Stephen Downes echoes this idea: learning is the creation and adjustment of connections between entities. I like how the word adjustment is included in this description. Change is constant and connections fluctuate. I guess this answers the old question about the tree falling in the forest. It all depends on one's perspective. I would love to be a teacher of a class where each student has access to a device that can access the internet. So far in my career this hasn't happened. Nevertheless, I've brought my own devices into the classroom so I can share accessibility with my students and I can access videos, photos, podcasts, blogs, etc. to enrich the teaching and learning in my classroom. This raises an issue: if I'm "in charge" of accessing information on the web and "controlling" what gets posted on my students' behalf - is this open learning? Without student access to open learning resources and open-ended inquiry-based projects, how can learning truly be open? "Learning is not the possession of a collection of facts, it's an expression of capacity." I have to acknowledge some of the little voices in my head as I learn openly, write my blog posts and respond to others. "Is this what my teacher wants?" "Will I pass this course with what I've said?" "Am I getting it?" This kind of thinking reiterates the fact that I am a product of the education system of which I was a part growing up. In many ways this system continues to replicate itself. I'm trying to change this. I don't want to worry about what others think and nor do I want my students to participate in learning that pleases others. And yet this way of thinking pervasive. To answer my question with a non-example: learning is NOT following a teacher's script. It is not for external reward. It is not uniform or predictable. As Alfred North Whitehead wisely quipped in The Aim of Education at the turn of the 20th century: "Culture is activity of thought and receptiveness to beauty and humane thought. Scraps of information have nothing to do with it. A merely well-informed man is the most useless more on god's earth." While I'm quoting the "greats" of educational theory, I must include John Milton, a favourite of John Abbott. In Of Education he says "I call therefore a complete and generous education that which fits a man to perform justly, skilfully and magnanimously all the offices of both private and public of peace and war." This reminds me of how George Siemens' describes the purpose of education in this 2010 TEDxTalk. First he quotes Edgar Morrin: "Education has one vital task: to prepare individuals for the vital combat for lucidity." In another presentation Siemens describes the purpose of education as suggested by Harvard University: education prepares learners to be part of society by creating, sharing and interacting; education helps learners understand themselves as products of and participants in traditions of art, ideas and values; education prepares learners to respond critically, creatively and constructively to change; and education develops learners' understanding of the ethical dimensions of what they say and do in all aspects of their lives. It sounds to me like the foundation of Creative Commons and the foundational theory behind open learning. During the course of our discussion, the reality of the sustainability of MOOCs was addressed. What are the costs of MOOCs? Who absorbs them? This started me thinking about generosity and gift economies. I found this fascinating article in the Harvard Business Review. What stood out for me was when the author made the distinction between a market economy and a gift economy. A market economy focuses on transactions; a gift economy focuses on relationships. In some ways, the difference is subtle. In gift economies, which I'm relating to open learning communities, relationships are paramount. Learning is about the meaningful, humane and generous connections made between learners. I'll pick up on these threads as I continue my open learning journey. I often read this book to my students - it is one of their favourite requests. When I introduce the book I challenge them to find the story within the story. They love the challenge and I love watching their curious faces as search for the story within the story and wonder how can you make "something from nothing". The other night, I woke up thinking about this story and realizing that it is the perfect example of the re-mixer's belief that "everything comes from something". I'll leave it to the quantum physicists to figure out exactly how the universe began and where all this "something" actually came from. What I'm interested in is culture and how culture is remixed in creative ways to make something new. Phoebe Gilman's beautiful children's book, Something from Nothing, is a fine example of remixing. It proves, with subtle irony and cleverness, that everything comes from something. I don't think her version of the story is licensed under Creative Commons but I've shared the book at least hundreds of times to wide-eyed audiences just as I'm sure other parents and teachers have done. If you haven't had the pleasure of reading this book, here is a brief summary. Joseph was born into a practical Jewish family. When he was born, his grandfather made him a blanket which Joseph loved to pieces. When the blanket became tattered, Joseph's grandfather fixed it and changed it into a wonderful jacket. When Joseph outgrows the jacket, his grandfather turns it into a vest, then a tie and so on until the blanket's last reincarnation: a button. Well, one day the button falls off Joseph's pants, as buttons do. Joseph's mother consoles him: "The button is gone, lost, kaput! Even your grandfather can't make something from nothing". Joseph thinks otherwise, and, as his pen goes scritch scratch over the paper, Joseph makes (this) wonderful story. Phoebe Gilman adapted (remixed) this story from a Jewish Folktale. What she brilliantly added is a story within Joseph's story. Underneath the family home where Joseph's grandfather transforms the blanket, live a family of mice. As the scraps fall from Joseph's blanket, the mice pick them up and turn them into mice-sized blankets, curtains and clothing. When Joseph shares his story with his family, the mice listen too, decked out in remixes of Joseph's blanket. Jospeh makes something precious - a story - from what we all have: scraps of experience. As Thomas King reminds us, "the truth about stories is that that's all we are". 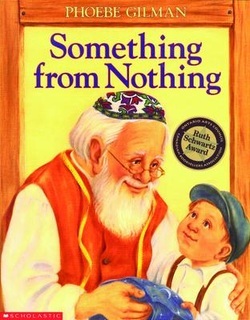 Phoebe Gilman's Something from Nothing, a remix of a Jewish Folktale is a wonderful, ironic example of how everything comes from something. TED-Ed is a fine example of connectivism. People working together to share, connect to and build upon ideas. You could use TED-Ed simply as a learning consumer by watching the lessons. Learners, however, are encouraged to engage at a much deeper, more connected level by participating in discussion, voting for best lessons, adding lessons that make you think "wow, the world is a fascinating place" and creating your own lessons. TED-Ed is not simply a repository; it is a dynamic, ever-growing web of learning. Just browsing through the lessons inspire curiosity and a desire to learn. Curriki.org is a useful, ever evolving collection of resources for all ages and levels. I like that it has been vetted and organized so that things are easy to find and resources are generally high quality, up-to-date and relevant. The layout can get a bit busy but it is definitely a place I've bookmarked and will return to in the future. Educreations allows you to view, share and create lessons. The tool is easy to use. I would like to create projects for my students where they create lessons for each other. What a great way to demonstrate learning. There are a few technical details that are a bit annoying - on the iPad you can't preview, delete or your recording. You cannot export your lesson to YouTube but you can embed it into your website. Michael Stevens' VSauce YouTube Channel I discovered these videos through ed.ted.com. I love how Michael Stevens values questions - even the zaniest - and legitimizes them by seeking answers. Such an wonderful way to inspire and celebrate curiosity and encourage more wonder. Verena Roberts shared Mozilla's Webmaker Projects. Wow! This is creative project-based learning. Each project has a creative and practical outcome like writing a beautiful proposal, helping an alien fit in with humans, finishing graffiti tags, designing a portfolio, mashing up, remixing...and so on. While working on the course, students are also learning webmaker tools like Popcorn Maker, Thimble and X-Ray Goggles. One thing I'd love to see are examples of projects made by people using Mozilla's Webmaker Projects. Even though I spent most of my formative years on the west coast, I am drawn to big prairie skies and vast landscapes. Perhaps it is due to having been born in a small farming town in the midwest or maybe that I was conceived in the desert of Botswana. Possibly my attraction was nurtured during those blissful summers of my 20s planting trees into the flat landscape of Northern Alberta. Whatever it is, the feeling I get under these big sky-scapes is an indescribable mix of sheer joy, excitement, vulnerability, possibility...I sense a lightness of being, grounded-ness, disorientation and whatever word you would use to describe Csikszentmihalyi's "flow". I get the same thing when thinking and learning about openness in education. As I search through the vast collections of OERs I keep returning to thoughts about what openness in education actually means for teaching. While I appreciated the practicality of the availability of these resources, I'm really intrigued by and drawn to the theory behind the movement. (I'll review some of my favourite OERs in my next post.) What excites me is that I think open education plays a large role in the revolution in education which Ken Robinson has called for since his first TEDTalk in 2006. I've noticed that the online education world likes to put things in lists: 10 Apps for the Tech Savvy Educator, 80 Ways to Use Google Forms in the Classroom, 25 Ways Social Media has Changed Life As We Know It...and so on. I can appreciate the succinctness of a good list so I've included the following from a my blog travels this week. These lists relate to what I'm learning about openness in education and how to navigate its vastness. They also help me alter my response to the amount of information I'm connecting to from TMI (Too Much Information!) to SMI (So Much Information!!) WOW! This work by Laura Mann is licensed under a Creative Commons Attribution-ShareAlike 3.0 Unported License. 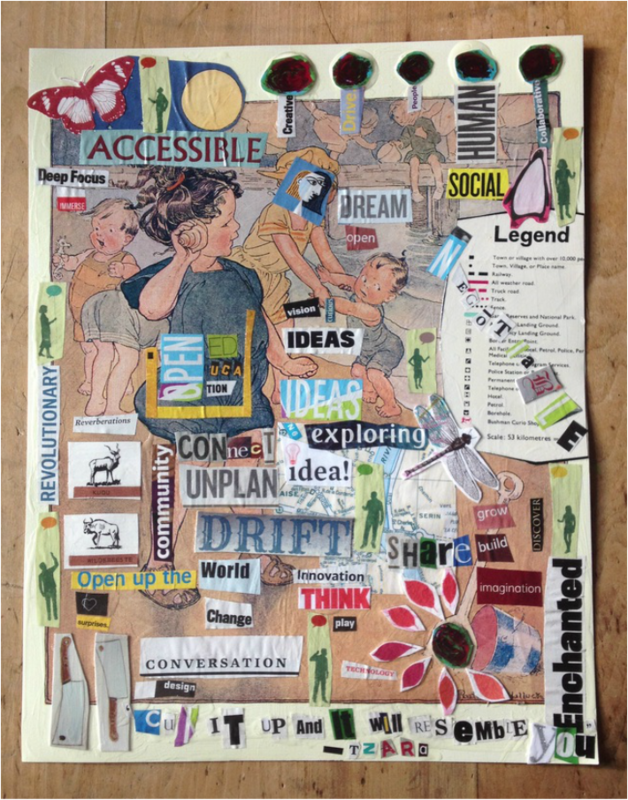 Based on a work at http://elearninglauramann.weebly.com/6/post/2013/05/into-openness.html. After school on Friday, as I tidied up the paint splatters and reflected on my week, I was struck by the thought that I just sent all my students home as criminals. Red-handed ones at that! Picasso's work is under copyright until 70 years after his death in 1973 (if I read the fine print clearly). I don't need to do the math. I just made my 22 five year old students copyright criminals. This realization didn't sit right with me - not because I realized that by "copying" Picasso they might have become "criminals" in the eyes of the law - but because in my mind they are nothing close to criminal. These children, these artists are diverse, curious and creative producers of culture. This is what make them human. Each "copy" of Picasso's Flowers for Peace s is unique. The act of being inspired by someone else is not criminal - it is what we call culture. As the writers of Rip: A Remix Manifesto so eloquently demonstrate: "no on creates in isolation...everything comes from something else". My students were born into a world of producers and collaborators - not passive consumers. They create and they share. As a teacher it is my job to provide them opportunities to be creative and critical producers and collaborators. To provide opportunities to connect meaningfully to ideas, art, each other and the world and then remix and recreate what they find, encounter, experience. This is learning. I wonder what Picasso, the man who once said "good artists copy, great artists steal", would think about copyright laws as they are today? I wonder what he would think about my students' interpretations of his work? I like to think he'd be impressed and honoured. Picasso loved children's art and inspired to express himself as purely as a 5 year old. “It took me four years to paint like Raphael, but a lifetime to paint like a child." 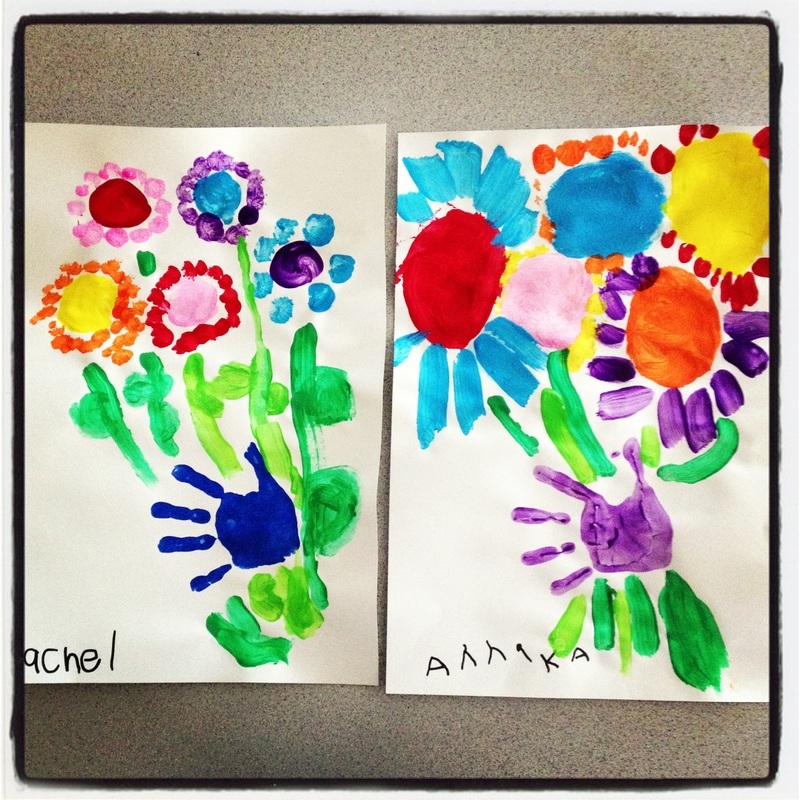 Imagining a sweet 5 year old as a copyright criminal just because she did a cute little painting for her mom with a hand and some flowers is a bit extreme. But what if the child grew up and used a photo of the painting in a mashup to criticize the government's participation in some future controversial war? What if she joined Dan O'Neill's Mickey Liberation Front and included Mickey Mouse in the remix? Rip: A Remix Manifesto is a brilliant, alive, evolving documentary that does much more than raise issues about the complex reality of copyright laws. I have a deeper understanding of culture itself and just how connected we are to not only each other but to past traditions, art ideas. I used to argue with the suggestion that "there is no such thing as an original idea". I thought creativity meant having original ideas. I'm changing my mind on this one. Creativity does not exist in and nor does it emerge from a vacuum. Creativity is being curious, making connections, building upon ideas and remixing the past to make something new. Copyright is about conformity and compliance. As Ken Robinson points out, humans (at least the young ones) are the natural anti-thesis of conformity and compliance. Education should serve to maintain human diversity, creativity and curiosity and not be an engine that enforces conformity and compliance. "The world is not made up of passive consumers anymore. That era is over. This world is made up of collaborators. We can create and share. We can change laws. We can act." We can use Creative Commons licensing to do what the fourth point of the remix manifesto suggests and build free societies (and free culture) by limiting the control of the past. It is my (hopeful) sense that this is the direction we, the producers and collaborators, are going. This work by Laura Mann is licensed under a Creative Commons Attribution 3.0 Unported License. Based on a work at http://elearninglauramann.weebly.com/blog.html. How can open education increase intrinsic motivation? As I learn about open education, I'm struck by the creative possibilities. Principles of open education and open educational resources are ideas, theories, learning objects, content, etc. that become meaningful and relevant to the learner when re-purposed and remixed for or by a specific learner or learning community. What interests me is the motivation behind the creation, utilization and engagement of OERs, MOOCs and the open education movement in general. It occurs to me that these individuals are motivated by something beyond extrinsic reward. "How can open education increase intrinsic motivation?" I was inspired by David Wiley's keynote on openness in education wherein he suggests that "education is inherently an enterprise of openness and sharing and generosity". While I agree with this perspective, education is not always translated as such. I've experienced closed-ness, hoarding of resources and secretive, exclusionary practices where collaboration is not valued and learning seems to be more of a competition than an open, generous practice. What motivates and inspires educators - and learners - to share and be open and generous? What motivates them to not? If a teacher applies an open educational approach to his/her pedagogy are students more intrinsically motivated when it comes to their own learning? If the teacher is modelling David Wiley's 4 Rs (reuse, redistribution, revising and remixing) in his/her class using open resources, curriculum and pedagogy, are students more likely to employ the same practices as learners, thus changing their expectations of education? My initial response to open education was that this makes so much sense...like David Wiley posits, this is education's natural state. This first week of learning about open education has been one of questions...questions I'm looking forward to pondering as I continue my learning about openness. "How can Learning Management Systems (LMS and/or Non-LMS) help me develop courses where students learn in the best way for them (teacher-structured/personalized), while providing me with the tools I require for efficient and efficacious presentation, moderation, support, and assessment (for, as, and of learning)?" For my final project for OLTD 504, I designed and built this course using Wix. I was interested in learning more about the creative process of designing a course. I wondered how a non-LMS could support the design process; provide tools for effective presentation, moderation, support and assessment; and create a learning environment which personalizes a structured learning program. My course is entitled Literacy Through Art. I have always loved teaching through art and have been fascinated with storytelling through photography since I discovered the work of Wendy Ewald through Duke University and The Centre for Documentary Studies. As one of my favourite authors, Thomas King, has said: "The truth about stories is that that's all we are." Through this course I combine what I love: art and storytelling. Distance and blended learning offers the ability for students to take Literacy Through Art wherever and whenever. To offer such flexibility is appealing to me as an educator. This said, I would offer this course as a cohort model as I value discussion, cooperative problem-solving and creating a community of learners. I think that the nature of Literacy Through Art invites collaboration and this would enrich the learning for all involved (myself included). 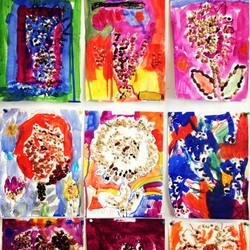 I like how while Literacy Through Art is structured to some degree, it is also flexible enough for each student to personalize his/her learning, thus "owning" it. This is possible in part by the way I have designed the course and in part by the non-LMS I chose. I decided to use Wix because I wanted to explore a new website building tool and find an alternative to Weebly. Wix is an incredible tool that allows me to be creative and produce sites which are aesthetically pleasing, practical, efficient, engaging and useful. Using the Wix template I selected, I was able to present my course and content in a way that is engaging visually and intellectually. I like being able to use my own photography and have the freedom to change fonts, colours and size of text. Elements can be moved around, deleted and added. One issue with all the creative flexibility is knowing when to stop...I could (and did) spend too much time playing around with the formatting and design and felt at times overwhelmed by choice. I used Google tools to support learning throughout my course. This is such an incredible resource for learning and teaching. I created a Google Form to be used as an introductory activity, a Google Site as a resource wiki and Google Docs as an assessment tool as well as an information gathering tool. I have also used Google Calendar to help students keep track of course activities. The educational possibilities using Google tools are truly endless and I feel as if I've just started scratching the surface of all that is possible using them as teaching and learning tools. Another Google tool I used is Blogger. I set up this blog as discussion forum where I post a question and require students to respond to the question and/or comment on other responses. Wix has an app where the newsfeed for the blog can be seen on one of the pages. This is so far my only criticism of Wix: users cannot post directly to the Wix site. Instead, s/he must link to the blog, post a comment and refresh the Wix page to see his/her comment posted in the newsfeed. To me this seems like an extra step; I would have liked to have a blog function through Wix. There are many other Wix apps to choose from and these all support a dynamic learning environment. 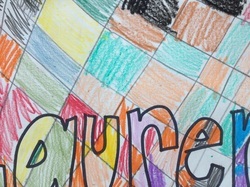 Literacy Through Art includes the development of an ePortfolio by each student using Wix. I like the idea of creating a space wherein each student can house, reflect upon and share his/her work. I think that seeing each student's ePortfolio would teach me a lot about his/her unique qualities. It is my hope that the students would continue to maintain and add to their ePortfolios after the course is finished. The assessment piece in my non-LMS learning environment puzzled me for awhile. It is my goal with this course to have assessment practices which reflect best practices and do not contribute to a culture of grades as reward & punishment. I hear too often of students being attached to their grades as if they were an extension of their identity. Good grades = good person; bad grades = bad person. My assessment practices will include self- and peer-assessment opportunities based on rubrics which are presented before the assignment begins and are tied directly to the course's learning outcomes. A link to each rubric will be included on the assignment page. These will be directly connected to course learning outcomes. When I began to develop this course I thought that I would use Evernote as a dropbox/feedback tool. I soon came to realize the limitations of the free version of Evernote, the biggest being that I cannot share feedback with my students using the same notebook. I then considered using DROPitTOme but once again, the problem was that I could not engage in a conversation with the student about their work. After an inspiring discussion with my course instructor and colleague the answer became clear - one that was always right in front of my nose: Google Docs! Of course :) My solution is to create a Google Doc for each student with a title following this format: STUDENTNAME_LITTHROUGHART_ASSESSMENT. Students will copy and paste their assignment to the Google Doc. I will copy and paste the rubric below the assignment, highlight the appropriate boxes and add comments. The student can respond to my comments, make changes to the assignment, etc. Peers can also be included in this process. I could also have students self-evaluate using the same rubric. S/he could highlight the rubric in one colour and I could add my thoughts in a different colour. Once the student is ready to publish her/his work, s/he will post it to her ePortfolio. The ePortfolio then becomes part of the assessment process where the student can reflect upon his/her work, ask the world for feedback and celebrate her/his learning. Because clear and concise learning outcomes are key to effective and meaningful assessment practices, I reserved a page for learning outcomes. These I sourced from Capilano's Creative Writing program and modified to suite my intention behind and goals for Literacy Through Art. I envision high school students taking my course. If this becomes the case one day, I would modify my learning outcomes to match those of the school district offering the course. For the purposes of my final project for OLTD 504, I'm satisfied at the stage of development Literacy Through Art is at today (April 14, 2013). Work is yet to be done on my course should I offer it officially. I will organize content and scheduling into modules so there is a clear flow to the class. Each would have a theme and the assignments would be connected to the appropriate theme. I'll include resources in each module including video clips, examples of work and connect these to discussion questions. I would fill out the calendar according to the pace I wish to set, add more assignments and rubrics, self- and peer-evaluation tools and schedule meetings in collaborate. As noted above, I would adapt the wording of the learning outcomes so they are in line with district course learning outcomes. I would also attach examples of completed assignments. The execution of this final project has shown me the ways in which non-LMS tools can structure and personalize learning and offer robust tools for presentation, moderation, support and assessment. My experience with D2L demonstrates that these goals can also be achieved using a traditional LMS. The differences that I embrace and appreciate are the flexibility and creativity offered using a non-LMS such as Wix. The author of this blog and website is me, Laura Mann. Teacher, mom, learner.